Wild-O-Tron 3000 slots is a 3x5 and 20 payline video slot from NetEnt. Get ready to build your own robots to form the ultimate winning machine in this sci-fi style slot. This game is perfect for the gadget-minded gambler. But with stacked symbols and wild substitutions, this game has a much wider appeal. The key to NetEnt's latest slot is the dusty looking machine at the side of the reels. When this gizmo whirs into life, get ready for upgraded wins as random robots are turned into instant wilds! Ready to embrace the machines? 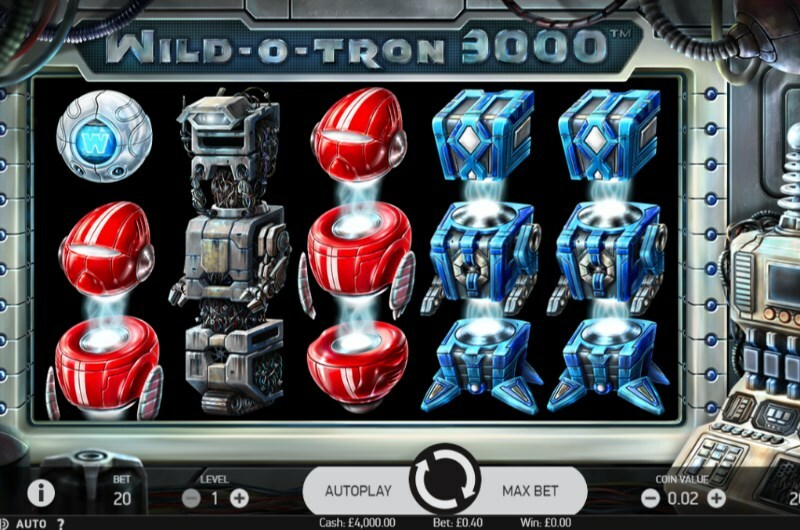 Read on for our full Wild-O-Tron 3000 slots review. While this slot is packed with cutting edge features - there is no dedicated Wild-O-Tron 3000 slots free spins bonus. Instead, we have the wild substitution feature courtesy of the Wild-O-Tron machine. But first let's talk about the main components of this slot. Each of the 7 robot symbols comes stacked with three main pieces. And each of these machines can appear on any of the five-game reels. Each robot is formed of a head, a midsection and a bottom half. Every spin is satisfying in this game: the way these symbols form on the reels will make you feel like you are in some kind of robot assembly line. On any random game spin, the machine at the right hand of the reel can come to life. This event may activate the Wild-O-Tron feature with wild substitutions. 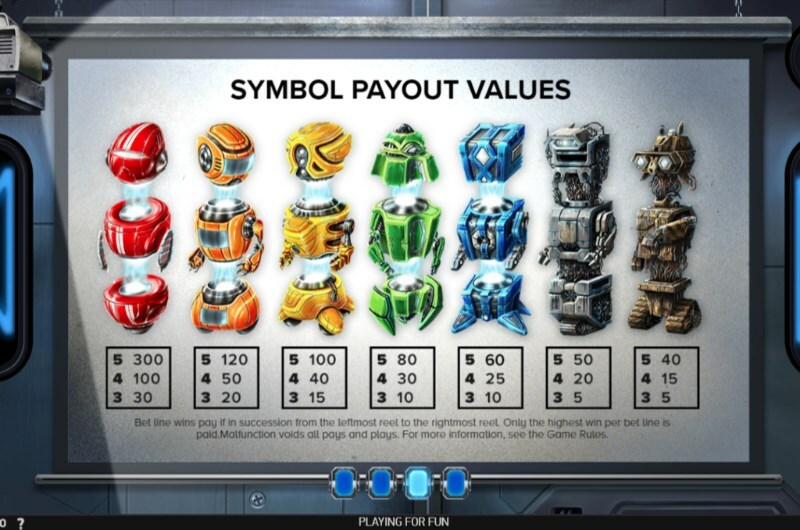 Up to six random robot symbols can then be chosen to be turned into wilds. Due to the nature of the stacked robot symbols, this feature can produce some rewarding wild wins. Especially if more than one robot is chosen to receive the wild treatment. Wild-O-Tron 3000 slots features a return to player of 96.01% and medium volatility. And this means you can expect regular winning opportunities with rare big wins. With this in mind, the slot is suitable for advanced and new players alike. New players, in particular, will appreciate the simple feature set and uncomplicated 20 payline setup. But the rewards are pretty enticing too. A five of a kind match with the wild symbol will award a 500x total stake bet win. There's also the red robot - with a max five of a kind award of 300x total stake. Anyone who loves playing with gadgets and gizmos is sure to get a kick out of this slot. And the Wild-O-Tron wild substitution feature is truly a mesmerising sight. This is one impressive machine from the genius minds at NetEnt. While the game lacks free spins, we do recommend claiming a Wild-O-Tron 3000 slots no deposit bonus to give the slot a spin. You can then see if you like the game flow and more regular bonus elements. Of course, you can also skip straight to the Pots of Gold Casino lobby and play for real money straight away.